I was able to gradually in a piecemeal fashion change my life slowly but surely through education, through edification, through spiritual cultivation, battling my demons. And eventually, that led to me embracing redemption. Stanley Tookie Williams III (December 29, 1953 – December 13, 2005) was an early leader of the Crips, a notorious American street gang which had its roots in South Central Los Angeles in 1969. 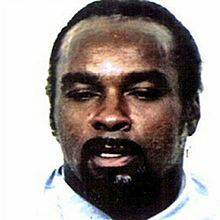 In December 2005 he was executed for the 1979 murders of Albert Owens, Yen-Yi Yang, Tsai-Shai Lin, and Yee-Chen Lin. Once I was in solitary confinement, it provided me with the isolated moments to reflect on my past and to dwell upon something greater, something better than involving myself in thuggery and criminality. It had to be more to life than that. It had to be more than the madness that was disseminating throughout this entire prison. Between the years of 1988 to 1994, and it's a continuous — it's an incessant reality for me. My redemptive transition began in solitary confinement, and unlike other people who express their experiences of an epiphany or a satori, I never experienced anything of that ilk. Mine — that wouldn't have been enough. I often tell people that I didn't have a 360-degree turnaround; I had a 720-degree turnaround. It took me twice as much. Just one spin around wouldn't have done it. I was that messed up, that lost, that mentacided, brainwashed. So, I was able to gradually in a piecemeal fashion change my life slowly but surely through education, through edification, through spiritual cultivation, battling my demons. And eventually, that led to me embracing redemption. We started out — at least my intent was to, in a sense — address all of the so-called neighboring gangs in the area and to put, in a sense — I thought I can cleanse the neighborhood of all these, you know, marauding gangs. But I was totally wrong. And eventually, we morphed into the monster we were addressing. Transcript and audio of interview with Tookie a few hours before his execution with Democracy Now! This page was last edited on 1 July 2018, at 10:50.